Giving Artists and Creatives Painting and Exhibiting Opportunities while Visiting Mexico. Are you an artist coming to Bucerias for a short time and looking for a place to do your work without the high fees and long term commitment of renting your own commercial space? Would you like to be amongst fellow artists for inspiration and casual conversation? Would you like exhibit your art work internationally? Would you like to earn money by selling your art in the weekly Bucerias Art Walk that has hundreds of people attending each and every week? Would you like to express your creativity with freestyle art workshops? We Look Forward to Meeting You in Paradise! 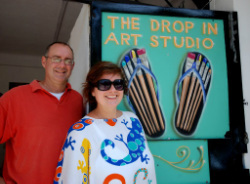 Michael and I are thrilled to have made our first step to opening The Bucerias Art Gallery & Studio. It is an exciting time to be in Bucerias. We have coined Bucerias as “The Artists’ Beach Town”. 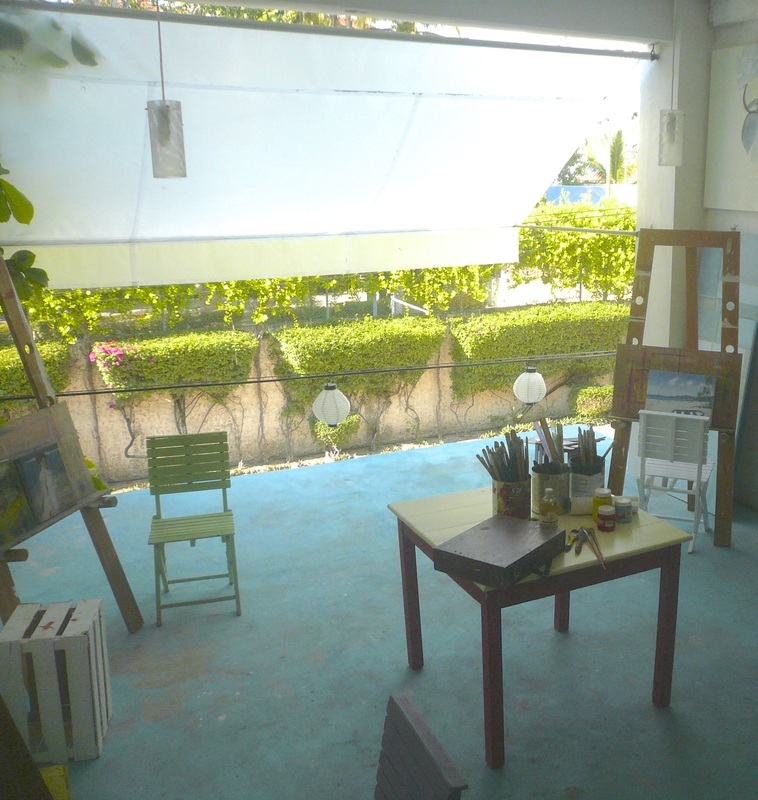 The Bucerias Art Gallery & Studio offers an open air workspace for seasoned and visiting artists who can benefit from our locale, the workspace provided with easels some supplies and the inspired conversation amongst peers, while enjoying a nice space to paint your masterpiece. During the high season, The Bucerias Artwalk happens every Thursday evening from 6:30pm to 9pm. We have various exhibits and events showcasing local artists. Michael Carlyle Artwork is also exhibited in the studio and available for viewing by appointment. We have taken the step to go after our passion, talent and dreams…living and working in Mexico. We welcome you and we hope you, too, will be captured by the spirit of Bucerias Art on the Riviera Nayarit in Mexico. Be the First to Find Out About All the Cool, Upcoming Things at The Gallery!